North Ayrshire will run their Easter Training Camp on the 2nd week of the Easter Holidays Tuesday to Thursday, April 12th, 13th & 14th. Coaches on the camp will be Chris & Richard Main and will have 1 practice partner each day. Each day will be limited to 14 players and to book your place on the course, please email info@northayrshirettc.co.uk. 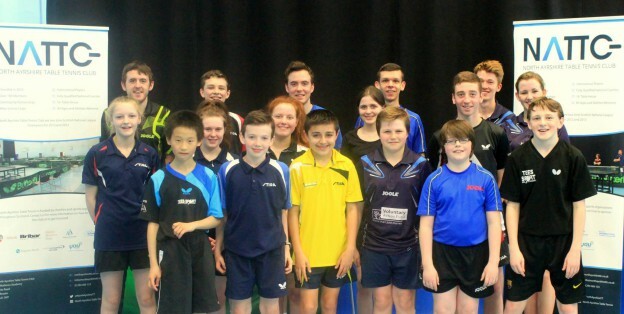 Training Camp to be held at DTTC with Scotland national squad player Calum Main. Open to players from all clubs, ages and abilities. To book, or for further details contact Chris Main on cmain88@gmail.com. Thursday – Beginners 10-12pm. Intermediate/advanced – service practice and match play discussion (10-12pm). 12.30 – 4.30pm training. Some tables will be free on Tuesday and Wednesday evening for those wishing to do individual practice or arrange 1-1s with coaches – Calum Main, Chris Main or Dylan De Silva. Maximum number of players per day is 16 so book early to confirm a place. Closing date for registration is Sunday 3rd April. Please make cheques payable to Dumfries Table Tennis Club. This entry was posted in Latest News on 24th March 2016 by Chris Main.